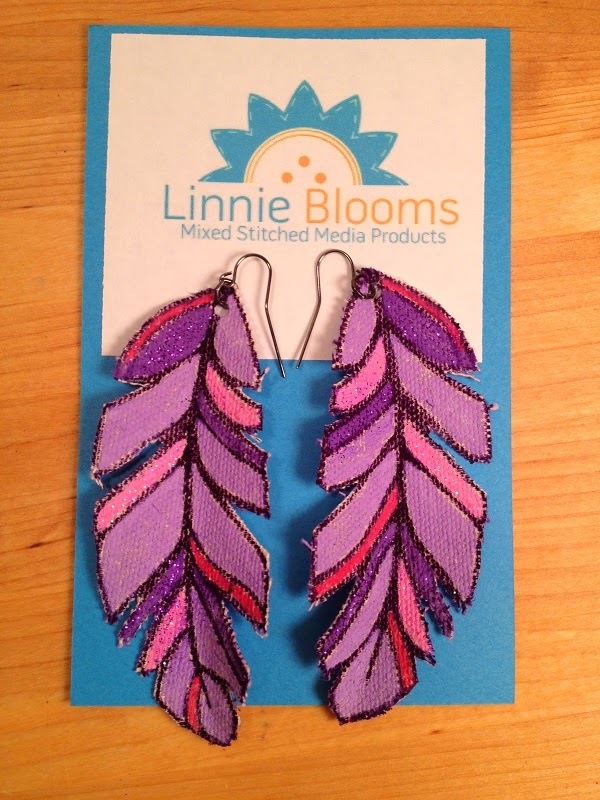 When I received my Linnie Blooms products in the mail and saw the Canvas Feathers, I just KNEW that I wanted to make a pair of Feather Earrings with them. 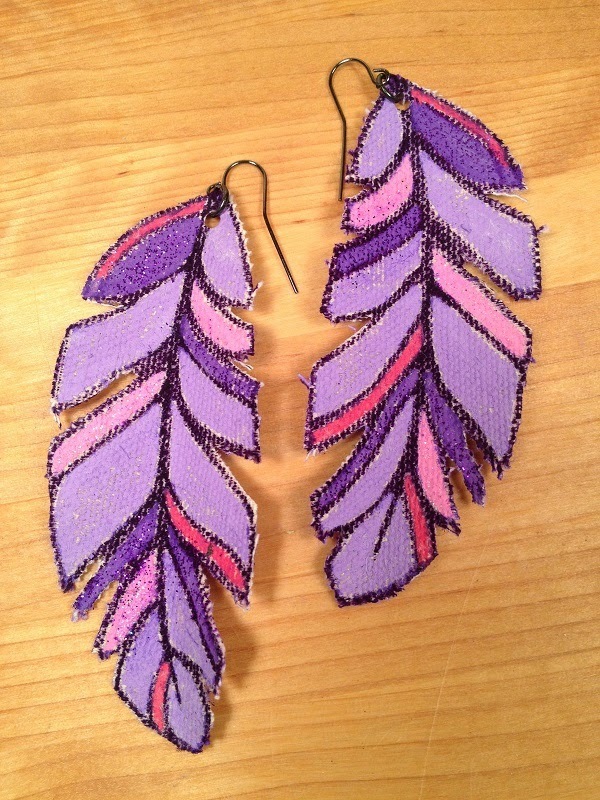 So, here they are - everything old is new again - trendy graphic Feather Earrings! Paint Brus #2 Round; Palette; Water Basin; Paper Towels; Hole Punch 1/8"; Jump Rings (2); Earring Wires (2) and Needle Nose Pliers (2); Stickels glitter glue by Ranger in Purple and Star Dust. 1.) 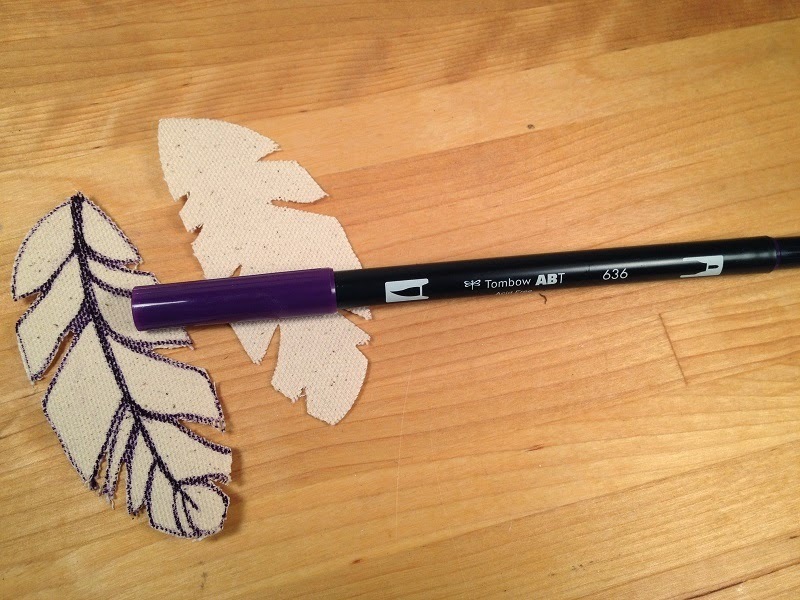 Draw in sections on each Canvas Feather with Tombow Dual Brush Pen. 2.) 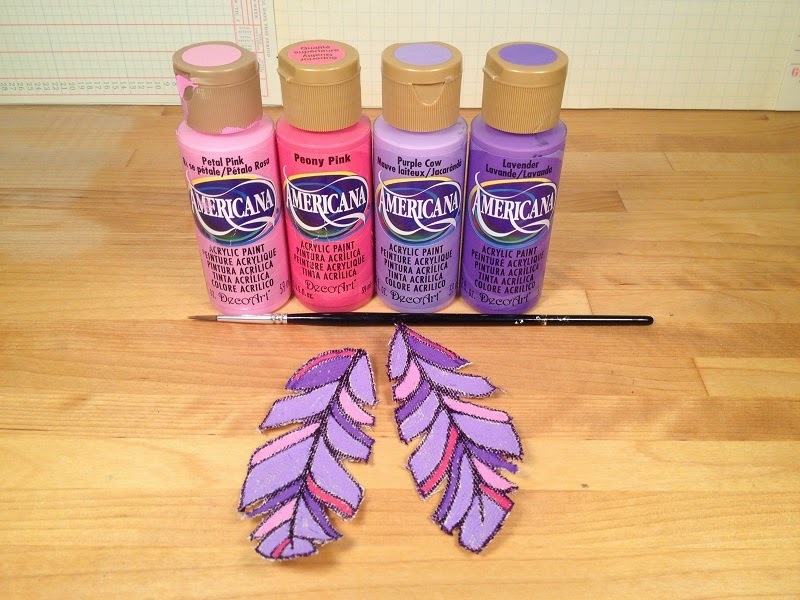 Paint sections of Canvas Feather using Americana Paints, let dry. 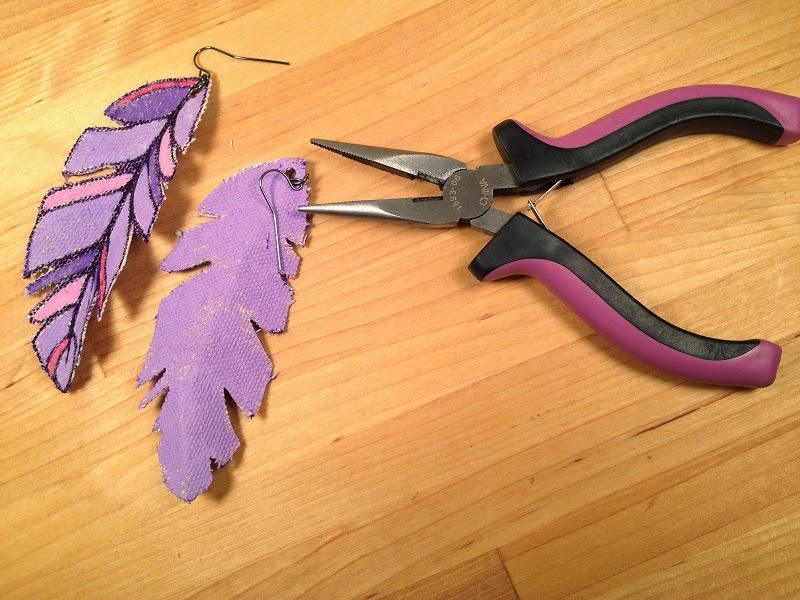 Base coat back of both Canvas Feathers with Purple Cow, let dry. Apply small amounts of Stickles glitter glue over dry paint and swipe off excess with finger, so just a bit of sparkle remains. 3.) Punch hole at top of each Canvas Feather. 4.) Open Jump rings with two pairs of pliers. 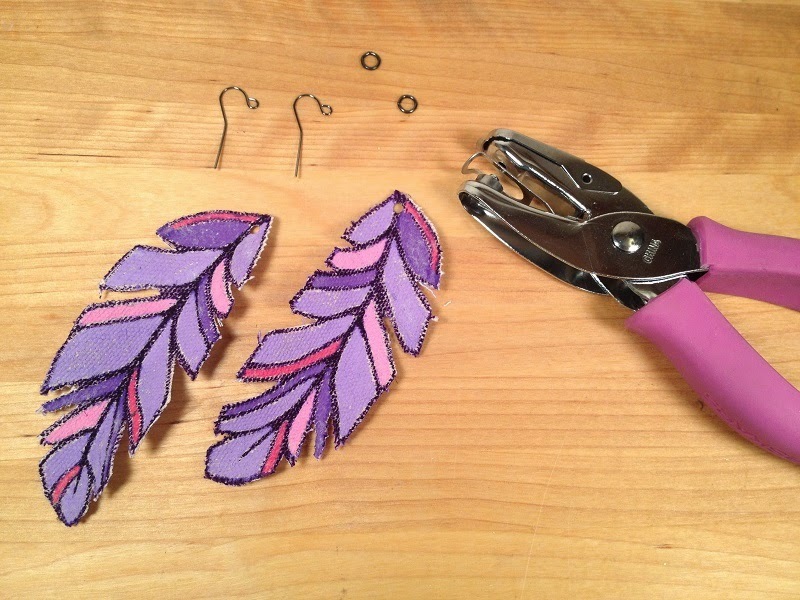 Thread Canvas Feathers through jump rings, then thread on earring wires. Close jump rings. 5.) 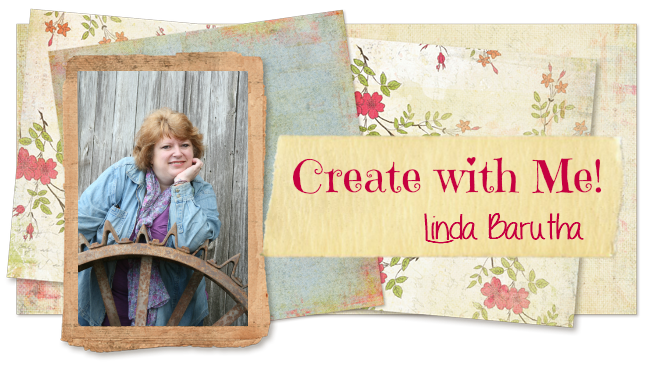 Create your own color combinations - the possibilities are endless! 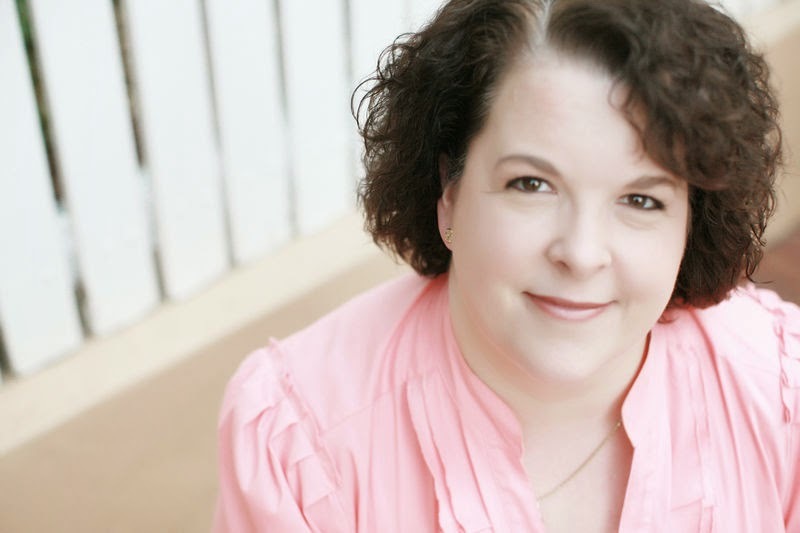 Wear with your favorite outfit OR give as a gift to your favorite teen or tween! See more fashion inspiration on my Pinterest.